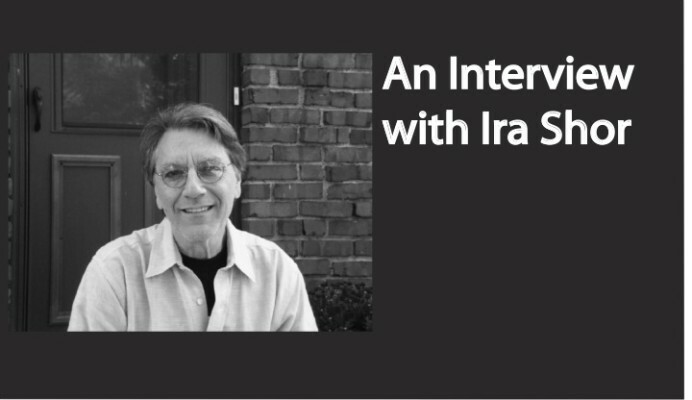 In part one of our interview, Ira Shor tells us about growing up in the Bronx, his early experiences of education, joining social movements, practicing critical pedagogy, and his first encounters and early collaboration with the Brazilian educator Paulo Freire. I discovered what it was like to sit next to a teenager from an affluent family, and how they dressed; and they had good complexions and I wondered how that happened, ’cause nobody I grew up with had a nice complexion; they all had nice teeth, I had terrible teeth, all my friends had terrible teeth; I wore my brother’s clothes, the hand-me-downs, they had their own clothes. So, it was like a very sudden contact with class differences because the schools I went to in the neighborhood, we were all from the same social class. It was an education for me but it also caused me a lot of—I don’t know—doubt, anxiety about who I was, and I began to feel insecure that I was ugly, badly dressed, that I smelled bad, that my hair was too oily, that my skin was too pimply, my teeth were too cracked, and so on. . . So I had been moving in this direction of what I call critical literacy or critical pedagogy. And Paulo Freire, of course, was way ahead, he had been doing it—that was around 1970s, he’d been doing it for over twenty years. So then I began studying his work in earnest and used it as a foundation for writing my first book Critical Teaching and Everyday Life. We hope you enjoy it, and check back next week for part two where we talk about social movements, political possibilities, and the current state of higher education. The music sampled in this podcast is “Absurdius Rex” by Jovian Year.